If I were to tell you there is a member of staff who will be representing your business to all of your clients, will be dragging money in, will directly impact the bottom line and not have the ego associated with big billers, you’d love them! Wouldn’t you? I mean, you’d probably bite my hand off to hire them. To be frank, you’d probably hug them. The fact I am writing this using both of my hands and I’m going to presume you’ve not seen the credit controller(s) getting cuddled recently highlights how they are the most underappreciated and valued members of a recruitment business. 1) Without credit control, do you even have a business? Without credit control, is there even a business? Let’s look at the fundamental purpose of credit control; to ensure money is coming into the business. Now let’s look at the fundamental purpose of businesses; to generate money. A very holistic and maybe simplistic view to take, but it stands to reason. Credit control makes the business financially tick. 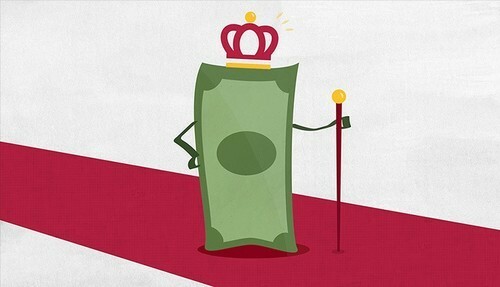 “Cash is king”, an old and often used business adage which I will presume everybody reading this will be familiar with and will know its importance. But who does cash retrieval come down to? Credit control. As Alex and Shaun reiterate, cash really is king and those who chase the treasure chest are central to this. No matter how much Halifax are spending on their new adverts with the Flintstones and Scooby-Doo, we all know Howard is the real face of Halifax. He is the man who is the face of customer services. It goes without saying, the sales staff within a recruitment business are elected faces of the business, but credit controllers are the inadvertent faces of the company. In many senses, Credit Control is the customer services of an organisation. Poor customer service (despite how good the product is) will put people off using you again. Companies who go above and beyond in the customer services stakes will, in turn, build customer loyalty to your brand and will lead to increased future revenues. Think back to that irritatingly memorable Experian advert, you know the one, with Marcus Brigstocke and his ‘data self’. The lines “Dan is a physical manifestation of my financial history …he is what companies see when they’re deciding to offer me credit” effectively sum up how banks will view you. Not how you view yourself, but how you are viewed on cold, hard paper. This view on paper will largely be down to credit control. Is the role of a credit controller and a recruiter really that different? Both are client-facing, have a direct impact on the bottom line and without them, you don’t have a recruitment business. From my experience, credit controllers are undoubtedly one of, if not the most undervalued members of staff within recruitment organisations. As the other contributors have alluded to the value of credit control, I will focus on the credit controller themselves. They must liaise with the sales staff, be confident and articulate enough to be client-facing and at the end of the day, they have a direct impact on a business’ bottom line. Going that extra mile on the outlay of a credit controller (or credit control team) is the logical choice as they will make the difference back and then some! I speak with senior finance professionals on a daily basis and poor credit control and cash flow issues are often the bane of their professional existence, having an effective credit control function frees them up to use their time more effectively. A great credit controller can have so many positive impacts on a recruitment organisation. To have a look at our latest Credit Controller roles, click here!